President Obama announced earlier this week that he is putting forth a plan to do a massive overhaul on the nation’s out-of-date infrastructure. The president plans to ask Congress for $300 billion to repair and rebuild highways, railways and other surface transportation projects. His announcement comes at an important time, as funding for transportation projects will run out later this year, and 700,000 jobs could be at risk as a result. The Highway Trust Fund, which pays for federal transportation projects, “will need an influx of $100 billion over the next six years just to maintain transportation spending levels,” according to the Washington Post. Half of the $300 billion for the infrastructure overhaul would come from corporate tax reform. Currently, federal gas taxes are the primary source of revenue for the Highway Trust fund, but so far there are no plans to raise the taxes, which are 18.4 cents per gallon of gasoline, and 24.4 cents per gallon of diesel. The trust fund has experienced shortfalls every year since 2008, forcing money for transportation projects to come from other areas of the federal budget. According to the Post, the reasons for the decline include the fact that fuel economy is improving, and less driving on a per capita basis. Fuel efficiency and greenhouse gas standards for semi-trucks will be higher for all post-2018 year model trucks. After introducing new fuel efficiency standards for trucks manufactured from 2014-2018, President Obama announced the new standards for post-218 trucks in an effort to further improve fuel efficiency and reduce greenhouse gas emissions from semi-trucks. While trucks only accounted for 4% of vehicles registered in the U.S., they produced about 25% of greenhouses gasses produced by vehicles, and consumed 25% of the fuel. According to the president’s announcement, the current standards from 2014-2018 will “save the trucking industry $50 billion and save 530 million barrels of oil. The next round will save the average truck owner $73,000 in the typical lifetime of a truck.” The EPA and DOT are expected to create the new standards by March 2015 and implement them by March 2016. With much of the east coast hit by a major winter storm, now is a good time to talk about the definition of a snow emergency and a snow emergency route, since both have a significant effect on our highway and transportation systems. A snow emergency is a state of emergency declared by a state of county that initiates a response to an approaching winter storm. This response varies depending on the state or county but it generally involves salting and plowing roads. Below for example is an overview of Montgomery County’s snow emergency plan. When snow begins to cover roads, salt crews spread salt on all main County roads and emergency routes. When snow accumulates to three inches, plowing and salting crews continue to clear all main County roads and emergency routes. 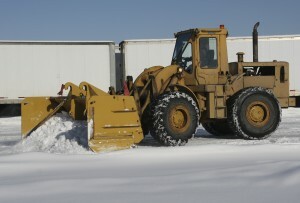 Once the snow stops, crews begin plowing neighborhood roads. Crews complete plow routes and spread abrasives on hills, at intersections and on roads around schools. Posted in Road Travel | Comments Off on What is a Snow Emergency Route? Would Cutting Fuel Consumption Benefit Consumers? According to a new report released by the Consumer Federation of America, consumers would save money if trucks cut their fuel consumption. 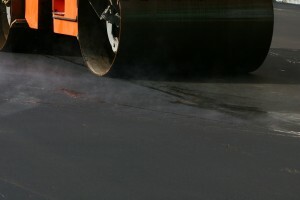 From overdriveonline.com, “The average U.S. household would save about $250 a year If medium and heavy-duty trucks in the U.S. cut their fuel consumption by 50 percent, according to a report released this week by the Consumer Federation of America.” These annual saves could increase to $400 by 2035. Cutting fuel consumption would mean improving fuel economy for trucks, a process which is slowly taking place as we see new trucks that are in the 9-10 mile per gallon range. Americans households pay a little over $1,000 every year in truck fuel costs which are passed on to them on the store shelves. If fuel consumption was cut by 50 percent, savings across all U.S. households would total a whopping $29.5 billion. In turn, the report suggests that these savings could help generate activity in the U.S. economy as these saved dollars would go to other parts of the economy. 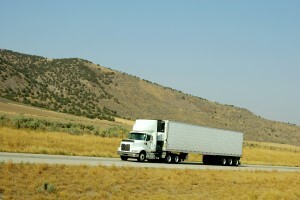 Trucking companies would also see a benefit from reduced fuel costs. Read our blog on how truckers can improve their fuel economy through various driving techniques here. Posted in Fuel | Comments Off on Would Cutting Fuel Consumption Benefit Consumers?